In the past few decades, the wireless communication technologies have experienced massive technology revolution and changing revolution from 0G to 5G. Today, the 4G network is replacing the 3G network and it is expected to be overthrown by 5G in next 2-3 years. Let’s have a deeper view on the two wireless communication technology 4G and 5G network. Wireless communication is the transfer of information over a distance without the use of enhanced electrical conductors or "wires”. The Mobile wireless industry has started its technology creation, revolution & evolution since the early 1970s. In the past few decades, mobile wireless technologies have been classified according to their generation, which largely specifies the type of services and the data transfer speeds of each class of technologies. There are mainly 6 generations from 0-5G where ‘G’ stands for generation. With the introduction to 0G in 1970’s, the world is moving towards the fastest and the most advanced 5G network. What are 4G and 5G? 4G and 5G are respectively the fourth and the fifth generation of the wireless communication. With a much better speed and connectivity, today people are using 4G mostly but is expected to be switching to 5G by the next 2-3 years.4G and 5G are actually the technologies, which builds the base of your cellular or internet network. With 5G faster and more advanced than 4G, its use is limited to certain areas today. But how exactly they differ? Let's have a look. How faster is the fast 5G? 5G is much much faster than 4G. Where on one hand, 4G has a speed of peak speed of 1 Gbps, 5G has it of 10 Gbps. In a popular estimation of Huawei, a movie taking 6-7 minutes on a 4G network to download can be downloaded in just 6-7 seconds! Well, that's a good comparison. Other is done by Telstra on Goldcoast, where it expects 5G to be around 60X faster than 4G. 5G is expected to have a zero virtual latency with scalable and flexible services. 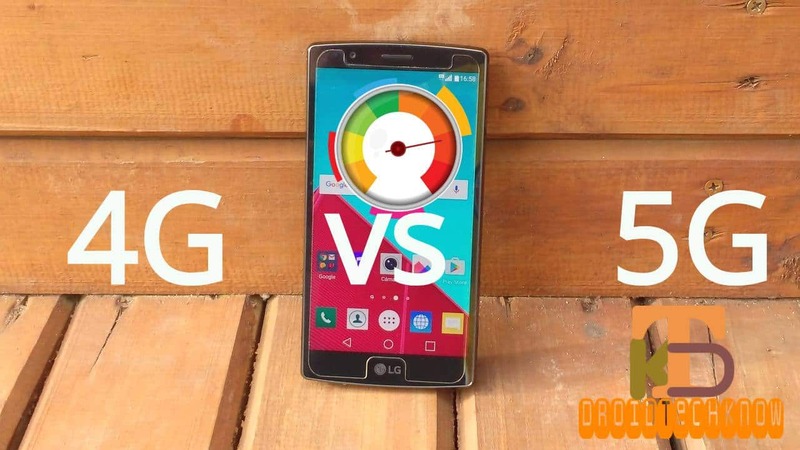 4G or 5G: Which is better for you? For a common man, 5G won't make a huge difference. As for whatever work we do now, surfing google, newsfeed, Instagram, Facebook, streaming music and watching Netflix, as it can go smoothly on 4G. What 5G would ease are the large bulk download and network stability. Undoubtfully, 5G would be a better option for a more technical person dealing with large data sets and require better stability and speed. With a prediction that 5G won't be able to meet the market needs beyond 2020, the ongoing development of the 5G wireless communication technology is modifying it to be more transformable. 3G usage has decreased in terms of common consumption, with higher hopes of having greater stability, speed and connectivity, hopes are high for 4G and 5G network. Having known the differences, now it's your choice, which one you choose for you!